Easter season makes for even busier times for this farm wife doing triple duties as a rural church preacher. Always strong faith first coupled with inborn musical abilities desire to serve added in, Diane Euler of Dwight is busy. 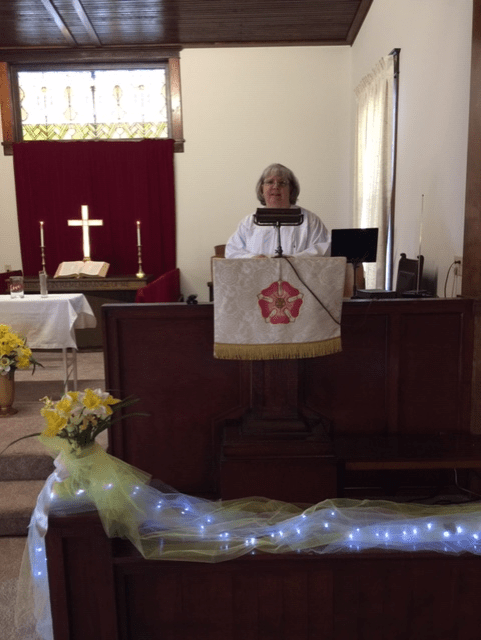 Call her preacher, pastor, reverend, minister, parson, clergywoman or Diane, whichever, she serves United Methodist Churches at Miller, Admire and Allen. That’s Sunday, daily, weekly, monthly, year around. 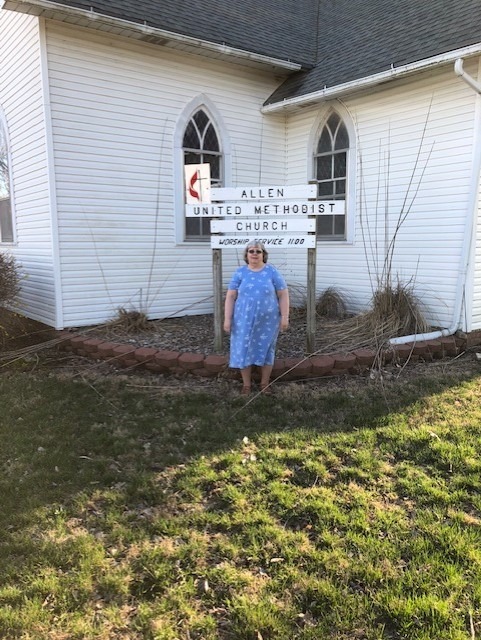 Sunday morning is busy for Pastor Diane Euler who serves pulpit duties for three United Methodist Churches at Miller, Admire, and Allen. Fortunately, the farm wife preacher presents the same sermon, with slight variation, at each church; sometimes just a tad late starting time. Yet, first Diane is the wife of Steve Euler, lifelong Morris County farmer following in footsteps of his dad Sam. Adding in, Steve is the local water district manager, generally a fulltime job itself. “With all of his own chores, Steve is very good to me. He always goes along to the services, drives the car. He’s my greatest supporter,” Diane acknowledged. Simply, actually yet quite complex, it all boils down to Diane’s philosophy on life. It began at a very early age. “I was raised on a farm at Dunlap and I seldom missed attending Methodist Church on Sunday,” she said. That included featured numbers for school programs, community gatherings and church services. Soon musical instruments were added in. “I took piano lessons from Lois Wirsig and started playing the saxophone in junior high,” Diane noted. Attending Council Grove High School, she was in band and selected a member of the Brave Voices singing group. Studying elementary education at Marymount College in Salina, Diane sang in the choir. “It was a lot of fun,” she smiled. “By then, I was also getting asked to sing at a number of weddings and funerals, too. That’s always such a privilege to serve others, help when I can,” Diane admitted. After teaching first and second grade for a few years at Salina, Diane moved back to the Morris County area in the early ’90s. It was her last stop on the Sunday morning circuit when Pastor Diane Euler took a break in front of the Allen United Methodist Church. Services there began at 11 o’clock, but she’d already been to churches at Miller, 9 o’clock, and Admire, 10 o’clock. Always active in her church, she served numerous roles, pianist, organist, soloist, choir member, musical program coordinator. “I tried to help out whatever I was asked to do,” she said. Within a short time, due to her most apparent faith beliefs, Diane was asked to speak at some church services. Her calendar became more filled with preaching in addition to singing engagements. “I was increasingly asked to fill the pulpit when area pastors went on vacation or had other obligations,” Diane said. That soon led to Diane becoming a licensed local pastor in the United Methodist Church. “Then I was appointed in July, 2016, to serve the North Lyon County Tri Parish, Miller, Admire and Allen.” Pastor Euler said. As reference, it’s about eight miles from Miller to Admire and a little more than five miles on to Allen. Fortunately, Pastor Diane only prepares one sermon presenting it at all three services. “Steve says I do make a few changes each time,” she smiled. Music is essential for church services, and Diane works with pianists and singers in that coordination. “I try to help line that up a few weeks ahead,” she said. Rural church survival is tough, but with Pastor Euler’s service the North Lyon County Tri Parish is doing just fine. “There are nearly 80 in attendance at the three churches combined each Sunday,” Diane said. “They are dedicated to their faith and their churches working hard together keeping each one going. “God takes care of those who are strong in their faith and beliefs,” she insisted. Following traditions of the rural churches, starting with Lent, Easter season brings additional coordination. “Each church has regular services on Palm Sunday,” Pastor Euler said. “But Ash Wednesday, Maundy Thursday and Good Friday services are rotated among the churches. “The Tri-Parish hosts an Easter Sunrise Service at 6:30, at the Admire Cemetery. Then regular Sunday services are at each of the churches,” she continued. A new tradition is the Christmas Eve Service hosted by the North Lyon County Tri Parish at the Admire Community Center. “It has continued to grow with people from outside the area coming besides our local church members,’ Diane said. Even if you’re a preacher, a farm wife is often asked to help with chores of some sort. 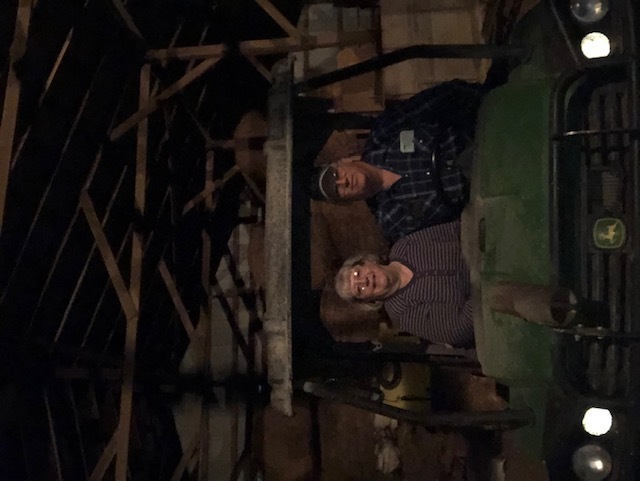 Born a farm girl, Diane is amply able and ready to help husband Steve Euler at their Dwight farm. A popular spring attraction is the Drive Your Tractor to Church Sunday. “We started that three years ago rotating churches. Weather has had some influence on participation, but we had 18 tractors come to the Admire Park last year. “Some come from quite a distance,” Pastor Euler related. “One came from Council Grove, and we let the children bring their toy tractors and the like, too. “My sermon is related to agriculture and livestock our stewardship to God’s creations. Then, there’s a potluck dinner which farm folks always enjoy,” she noted. A new attraction is on tap this month. “The Allen United Methodist Church is always very creative in fundraisers and such activities,” Diane credited. “This year, they’ll host an Out To Grass Sunday, April 24th, at the Allen Senior Center, from 11:30, to 1:30. 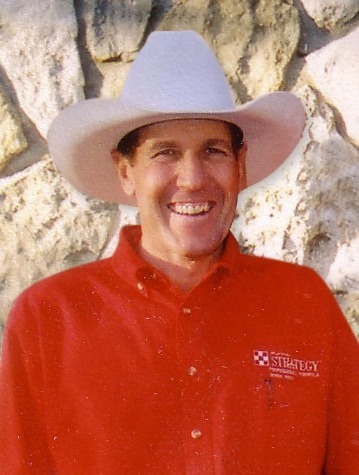 “Cowboys will be busy moving cattle to pasture and can stop by in their working clothes for dinner. There’ll be cowboy beans, the fixings, and homemade cobbler, too” she promised. That’s regular “work” plus Pastor Euler must keep up with each individual church board meetings, weddings and funerals. “There’s a wedding tomorrow after the three church services,” she noted. Top her busy life as farm wife and pastor, Diane is a mom and grandma. “Lexia and Kaleena are my two daughters and we have four grandchildren, Troy, Gabrielle, Destiny, and Joey,” she proudly stated. Christmas season brings another task for the energetic faithful server. “Marilyn Wells, Dwight United Methodist Church organist, thought with so much musical talent we should have a Community Cantata,” Diane remembered. “That was 15 years ago. Marilyn picked the songs, but insisted that I direct it. Marilyn passed away a few years ago, but we carry on. Divine calling to “love one another and serve” is being answered by Pastor Euler; call Diane and she’ll respond.